I love combining two of my speech therapy favorites: books and core vocabulary! In an attempt to be a bit more organized and target core vocabulary with my AAC kiddos and early communicators, I am beginning the process of organizing my books by targeted vocabulary (in addition to organizing some by theme!). “More” is a common word I teach, as it’s functional in ALL contexts, with ALL partners, and is fairly easy to learn. Below are my favorite books to help target the concept of “more”. I love using aided language input while reading! Don’t worry, these books don’t just have the word “more” in the title. It is repeated throughout the book, sometimes on every page! What books do you use to target the word “more”? I’d LOVE to add to my collection! I feel like I’m always using these! http://speechymusings.com/wp-content/uploads/2015/10/Slide19.jpg 720 720 Shannon http://speechymusings.com/wp-content/uploads/2018/07/speechy-musings-identity.png Shannon2015-10-19 20:28:052015-10-19 20:34:29Books to Target "More"
Lately, I’ve been on a kick of (attempting to) use one book in therapy for a week. I know, I know. Why don’t I just buy a big book companion packet and be done with it? Well, several reasons. First, I’m cheap and if I want to use a different book each week that will get super, duper expensive. Second, I’m busy and prepping a full book companion packet each week would take forever. I’d never get to make any products of my own! I see many of my kiddos for 2 hours, one-on-one weekly so I go through activities fast!! Below is some of the fun I’ve been having with Room on the Broom, my favorite book for the Halloween season! 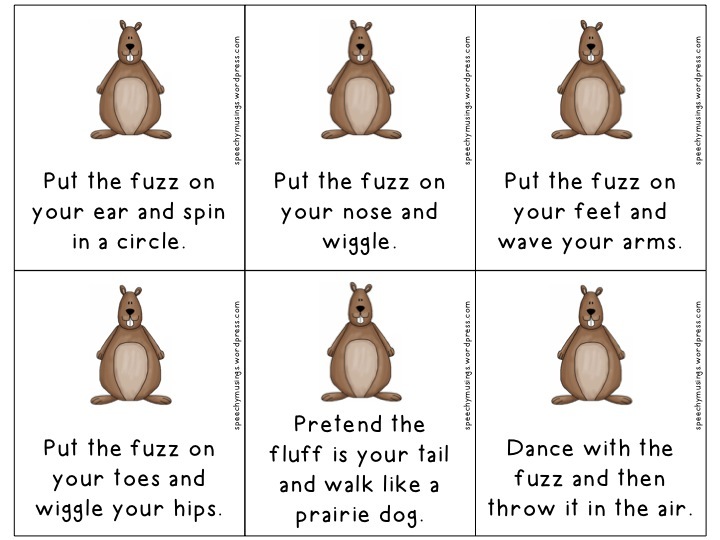 Awesome, FREE cards for Cariboo targeting comprehension questions about Room on the Broom! Don’t have Cariboo? Don’t worry! 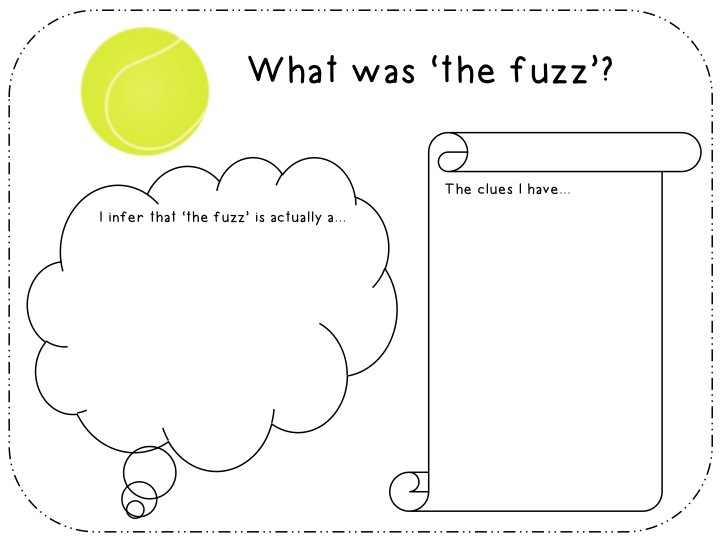 Just print and use as regular comprehension cards. Download these here. This FANTASTIC Room on the Broom comprehension book is only $2 so that is awesome. My kiddos LOVE pulling off the question mark boxes to see if they’ve answered the question correctly. It’s so motivating for them! This book is made by the same seller (The Speech Bubble SLP) as the free worksheet above and they pair really well together. Purchase this comprehension book (really, it’s only $2) here. Below is a product I meant to assemble (another FREEBIE) but just ran out of time. It looks awesome if you’re looking for some sequencing cards and more comprehension cards! Very cute. In total, if you buy all of the products I’ve recommended and download all of the freebies, you’d end up spending $14 and have book attachments to last you the entire year. Looking for some crafts and snacks and other hands on creative ideas? Below are some projects I do with this book as well. These are super fun!! Broomstick Bookmarks Using Popsicle Sticks! If you don’t already have the book, I’d recommend purchasing it! Kids love it! I found mine for $6.99 at Target but it’s slightly cheaper on Amazon. Have fun with Room on the Broom!! Anything I missed? I’d love to hear! Looking for more Halloween ideas? Check out my Halloween Pinterest board here!! I’ve been trying to put a greater emphasis on using book in my therapy sessions. You can target SO much with them and they are a totally age appropriate skill for many of my kiddos. BUT, book companion packs (while great) are seriously way too much work and I felt like I couldn’t prep the book companion packets fast enough! I also realized that while books are great for our kiddos, much of the time my kiddos just couldn’t attend for long enough to finish the book. And even sometimes when it looked like they were attending, they didn’t retain much of the information from the book. I tried so many things, and then VOILA, I came up with the idea to make a book attachment for one of my kiddos who benefited from sentence strips. IT.WORKED.GREAT. So I made more and I used them with a huge variety of kiddos and most (if not every) kiddo I used it with benefitted. These book attachments are great for giving the student a model sentence that they can use to retell stories, answer “What happened?” about a page, or describe events in a book. There Was an Old Lady Who Swallowed a Fly! There Was an Old Lady Who Swallowed Some Books! There Was an Old Lady Who Swallowed a Bat! There Was an Old Lady Who Swallowed a Bell! There Was an Old Lady Who Swallowed Some Snow! There Was an Old Lady Who Swallowed a Clover! There Was an Old Lady Who Swallowed a Chick! That’s TWENTY THREE BOOKS! At full price it only costs $0.50 a book for a major upgrade! Set-up is easy which is what makes this product SO awesome! Last week, I assembled FIVE attachments (including laminating, cutting, etc…) in 30 minutes. Another great thing is that even when disassembled and on a book shelf or in a box, they really don’t take up much more room than the original book. From this packet, you can easily target story retelling, language expansion, pronouns, verbs, emotions, sequencing, vocabulary, and other language concepts without the use of flashcards or any drill! LOVE! To purchase this super awesome growing bundle, click here to see it in my Teachers Pay Teachers store. You can also read the amazing feedback left on the product so far in case you aren’t convinced! UPDATE: This product will continue to be updated and the price will increase with each update! Therefore, this list and prices above may no longer accurate! Purchase ASAP to get the lowest price and receive future updates for free. Thank you!! I LOVE book companion packs! I needed one to address some vocabulary needs for a couple of my clients and thus, created one for ‘Bear Snores On’ by Karma Wilson. You can find it in my TpT Store here. Pages 2-3: Cover Cards: Helps to label each deck and keep you organized! 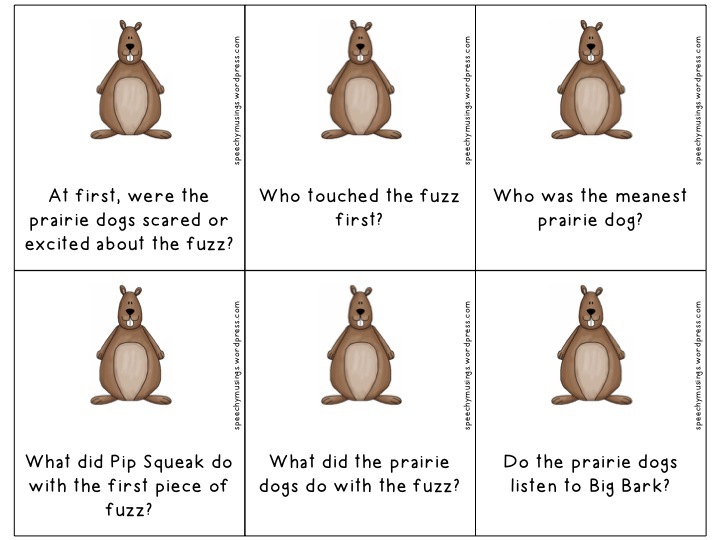 Pages 4-7: Comprehension: 18 comprehension questions on individual game cards. 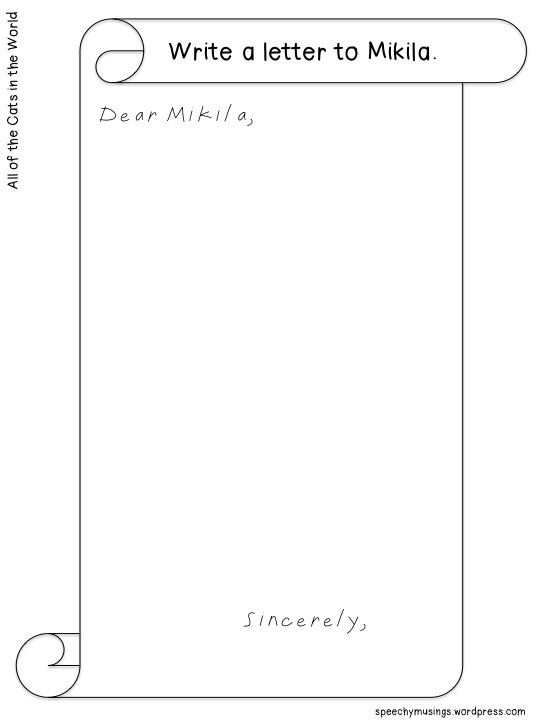 Pages 8-10: Conversation Starters: 10 cards that spark discussion about the book and friendship. 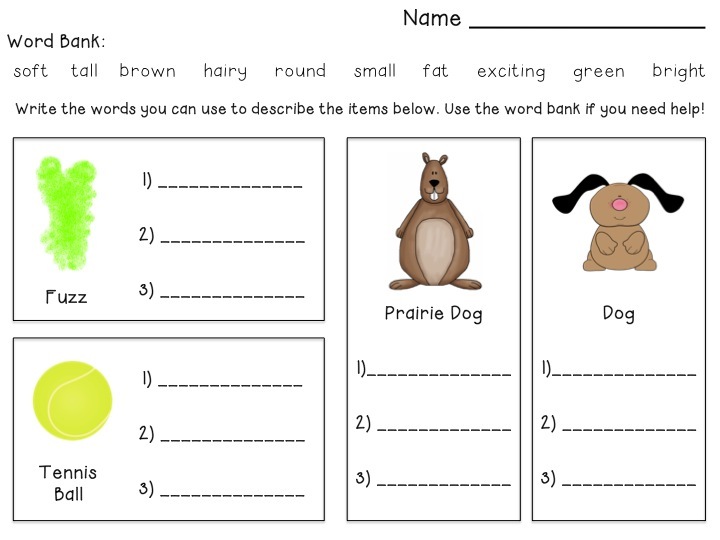 Pages 11-13: Write Your Own: 8-quarter sheets for your students to make their own version of Bear Snores On in madlib style! Great for homework, narrative skills, and additional story retell practice. Pages 14-30: Vocabulary Cards: Match the term to its definition. Contains blank cards for customization. 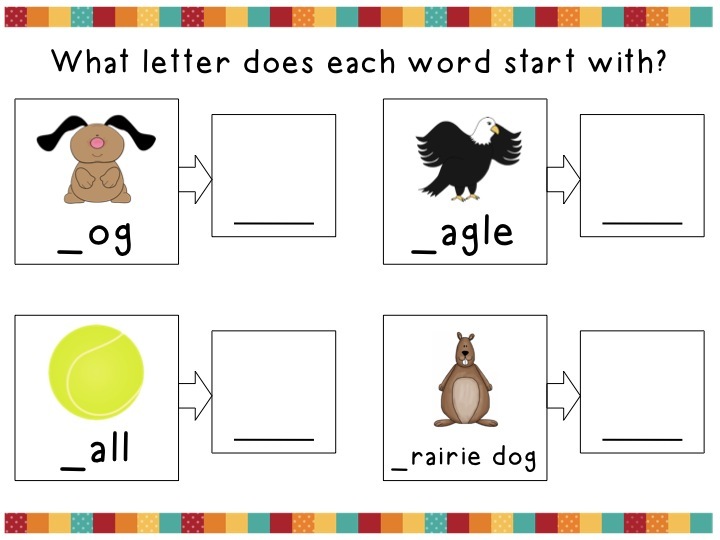 Pages 31-33: Sorting Mats for Vocabulary: Contains 1 blank page for customization. One page requires your students to sort nouns from verbs from adjectives. Pages 34-41: Sentence Unscramble: Unscramble sentences from the book to find out how each animal arrived to the cave. 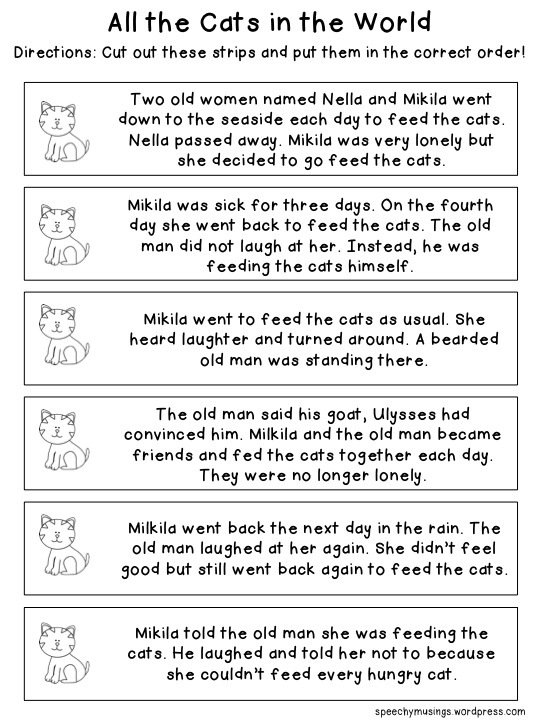 Pages 44-45: Sequencing: Sequence the events from the sentence unscramble! Thank you! Again, if this seems like something you could use in your speech room, head over on over to my TpT store here and check it out! If you wish to stay updated on my freebies, sales, and giveaways, ‘like’ me on Facebook here. 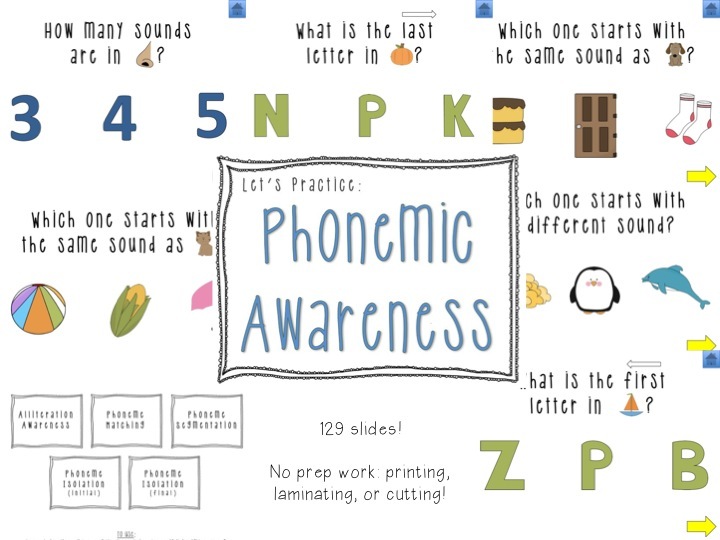 My newest product is an interactive Powerpoint targeting phonemic awareness, and I’m incredibly excited about it! You can find it here. This product contains 129 slides in a Powerpoint format. This means no prep work, printing, laminating, or cutting for you!! 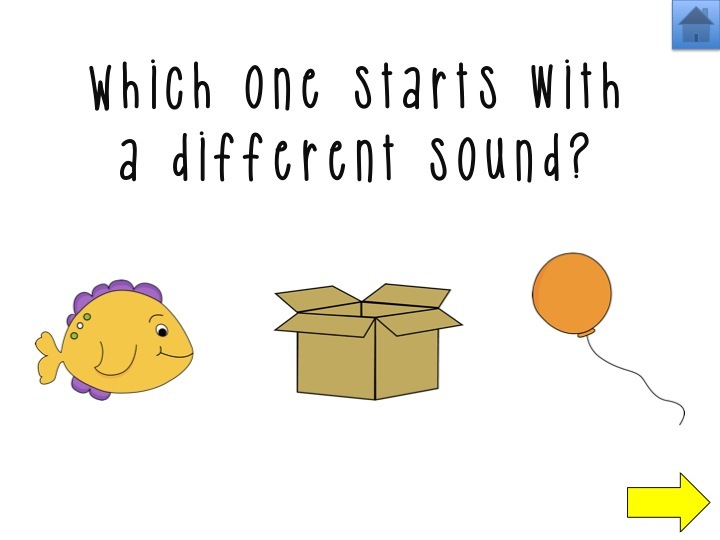 Alliteration Awareness: 25 slides that ask, “Which one starts with a different sound?” and provides 3 picture choices. 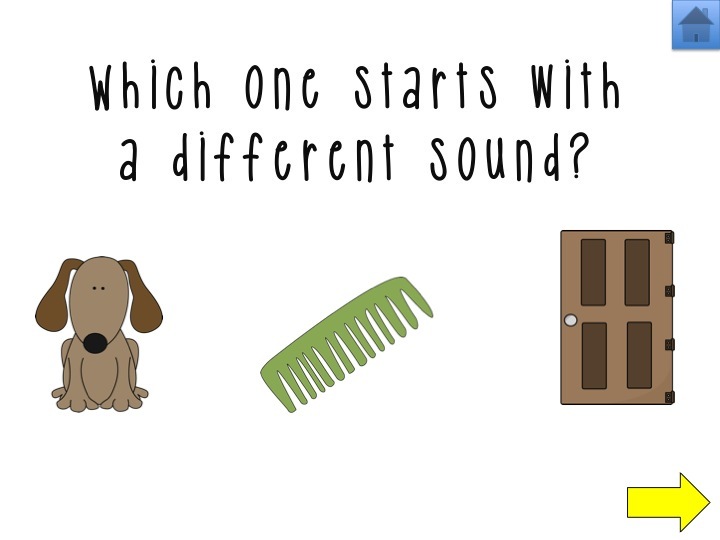 Phoneme Matching: 25 slides that ask, “Which one starts with the same sound as _____”. The blank contains a picture. There are 3 picture choices for the answer. Phoneme Segmentation: 20 slides that ask, “How many slides are in ____”. The blank contains a picture. There are 3 numbers as choices. 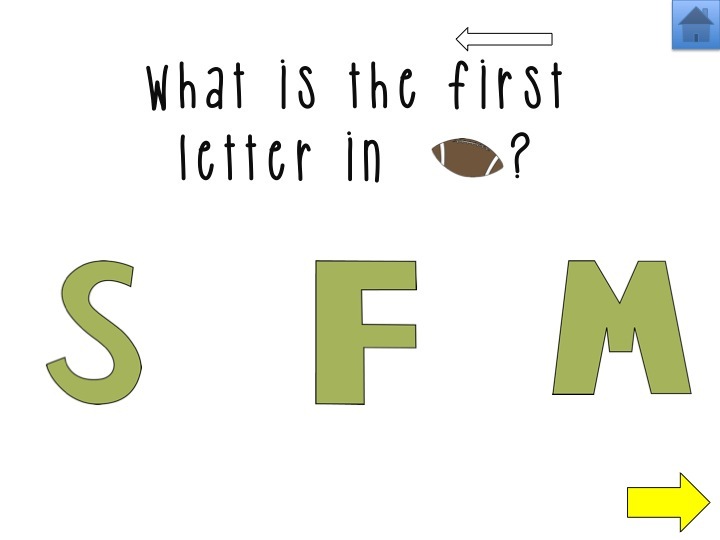 Phoneme Isolation (initial): 25 slides that ask, “Which is the first letter in ______”. The blank contains a picture. There are 3 letter choices for the answer. 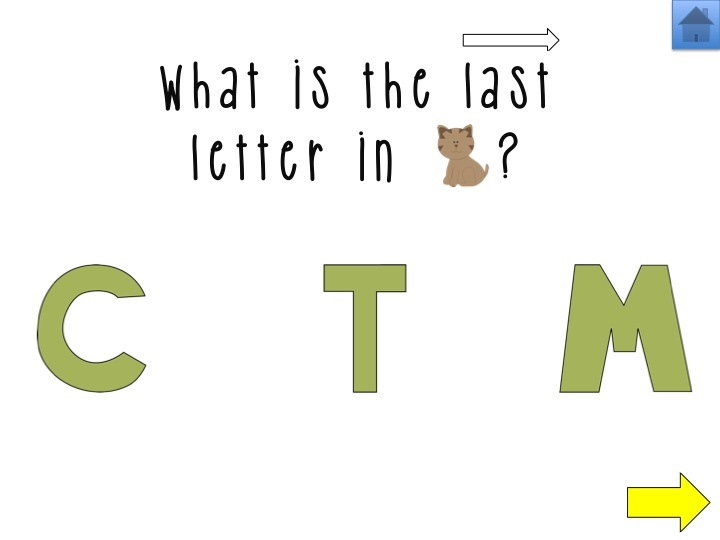 Phoneme Isolation (final): 25 slides that ask, “Which is the last letter in ______”. The blank contains a picture. There are 3 letter choices for the answer. Each answer, whether a picture, letter, or number, links to a page that tells your students if it was correct or incorrect! There is a homepage so you can easily navigate to the specific topic you need! Head on over to TpT here to download the preview to see an example page for each section! Thank you! Again, the link to the item in my TpT store can be found here. If you want to stay updated on my giveaways, freebies, and sales, ‘like’ me on Facebook here!! If you are looking for more therapy ideas and interesting speech related pins, follow all of my boards on Pinterest here. If you haven’t read it already, please head over and read my Comprehending and Paraphrasing Expository Text post here. In that post, I detail the research behind this packet! If expository text is too high level for your students, this packet is for you! It contains 36 cards with narrative text, a graphic organizer (2 versions), a die printable, dice game, 2 half-sheets for homework, and instructions! Each student should draw a card. 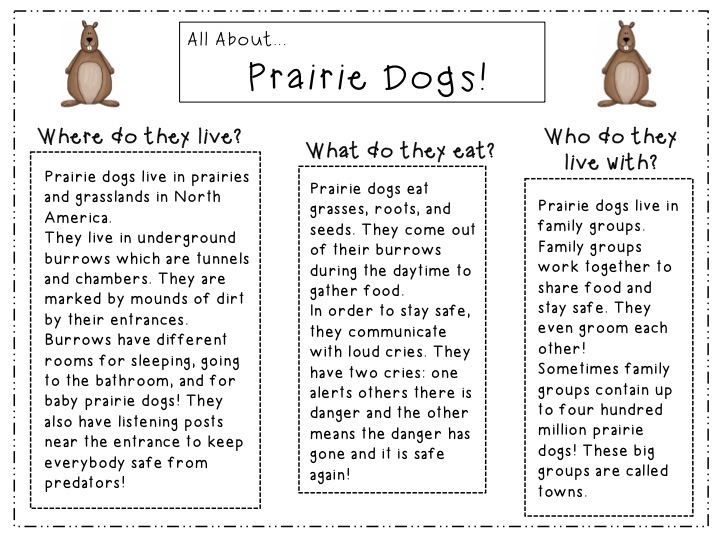 Then, according to the RAP protocol outlined in my earlier post, the student should detail the main idea and 2 details from the story (on the included graphic organizer). Last, the student should retell the story in their own words! This is one of the best ways to increase your student’s comprehension of text! If you’re interested, head on over to my TpT Store here. P.S. : If you are interested in staying up to date on my future freebies, giveaways, and new posts, ‘like’ me on Facebook here. So let’s start with a definition. What is expository text? Well, expository writing is a type of writing where thats serves to inform, describe, or explain something. It’s like non-fiction text! Our students are expected to learn from expository texts every day in their classrooms. For many of our students, this is a critical skill. It ensures they are able to comprehend their textbooks, their homework, and their lectures. My newest packet targets just that: the comprehension of expository text. The students I tend to see HATE expository text. The second I try and get them to summarize something factual that sounds like their school homework, they shut down on me! So I attempted to make the text in this packet as interesting as possible! Your students could learn about why the sky is blue, why squirrels have bushy tails, and who the first man to walk on the moon was! There is also a greater push from teachers and administrators to cover classroom content in speech therapy, so this is a great way to target both! 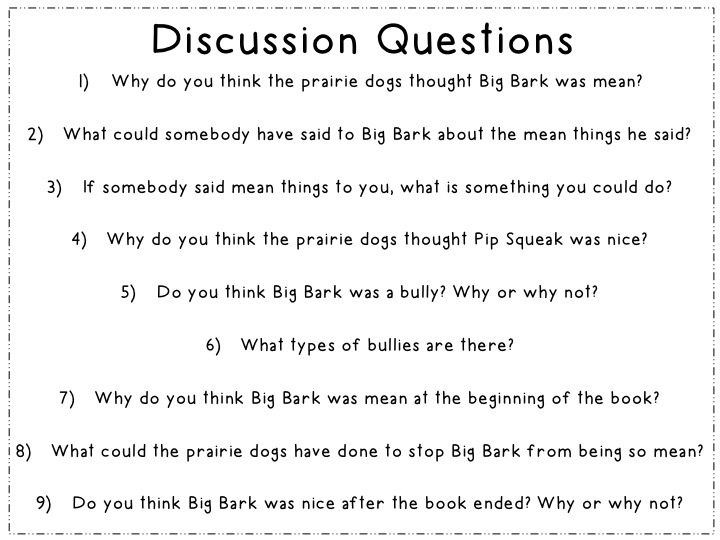 I have had GREAT success using this protocol and my packet with all of my clients who are working on comprehension and paraphrasing! I hope you find this useful as well! The packet includes 24 cards with expository text, a graphic organizer (2 versions), a die, 2 half-sheets for homework, and instructions! If that looks like something you could use in your speech room, you can find it in my TpT Store here. I also have a similar packet targeting narrative comprehension. You can see the post on that packet here. If you are interested in staying up to date on my future freebies, giveaways, and new posts, ‘like’ me on Facebook here. Due to the feedback I received on Facebook, I created a packet that was intended for older kids & middle schoolers. It is available here. 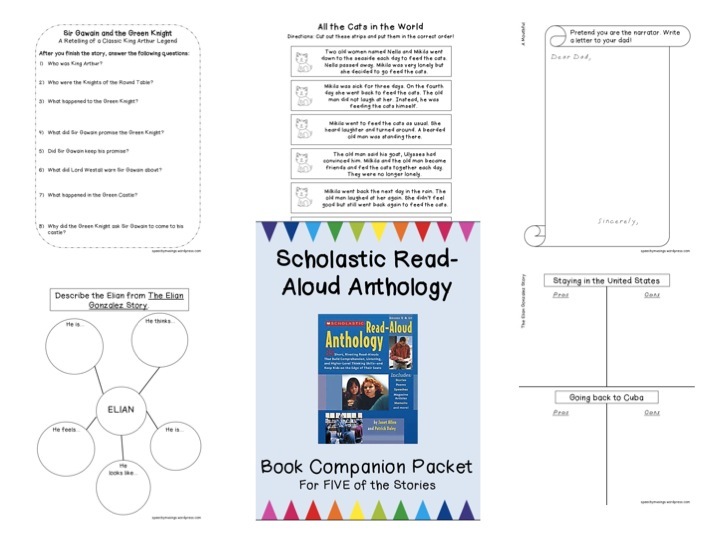 This packet is meant to be used in conjunction with the Scholastic Read-Aloud Anthology. This book will need to be purchased separately and does not come with this purchase! This packet is 32-pages long and contains printable worksheets for FIVE of the stories in the Read-Aloud Anthology. 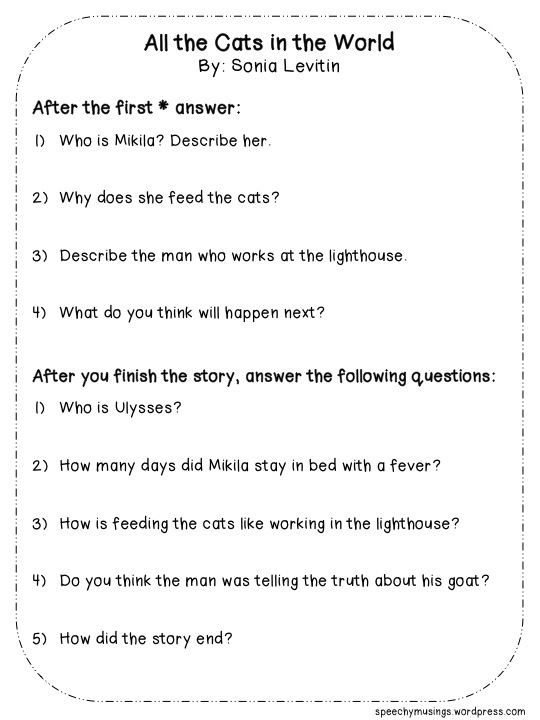 All of the worksheets utilize no (or minimal) clipart so these would be appropriate for older students including those in middle school who are working on these reading skills. If this seems like something you might use, check it out in my TpT Store here. I have a new, exciting book companion pack! Below is the description from my TpT Store with sample pictures. You can find the product here. This is a 77-page book companion pack designed to accompany the book “The Great Fuzz Frenzy” by Janet Stevens and Susan Stevens Crummel. **The book will need to be purchased in addition to this packet. It does not come with the purchase! You can find it on Amazon here. If that looks like something you’re interested in, take a look at it in my TpT Store here! This material is very similar to my Cinderella Companion Packet! This 98 page file is filled with companion activities for two books. These books are not included with the purchase and may be purchased separately (if desired, see note below). 2) Trust Me, Jack’s Beanstalk Stinks! **Note: Most activities can be done without the second book. The first book can also be substituted for a free online video that reads the story out loud. Therefore, if desired, nothing additional would need to be purchased other than this packet itself!! If this looks like something you would be interested, you can find it in my TPT Store here. 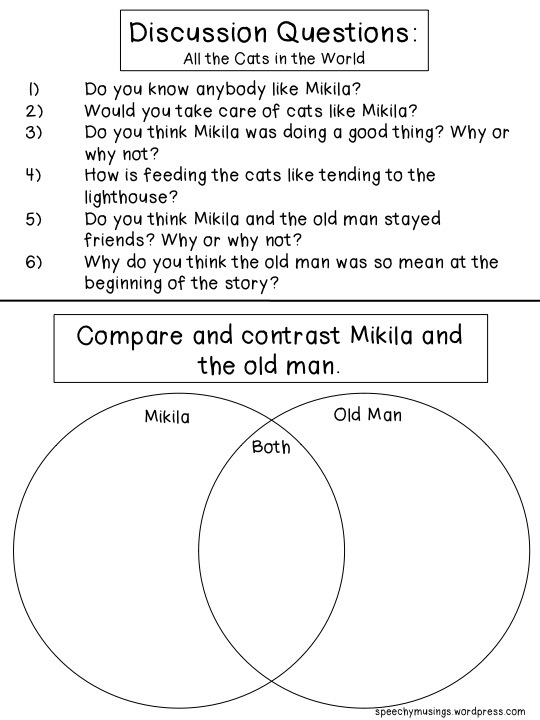 One my clients last semester was working on story comprehension. She loved Cinderella so I began creating many Cinderella themed activities. It has now turned into a full book companion packet! Check it out in my Teachers Pay Teachers here. This 87 page file is filled with companion activities for two books: Cinderella and Seriously, Cinderella Is SO Annoying! It can be found here. ++Parent handouts are included for each topic!! If that seems like something you could use, check out my TPT Store here!